For the video recording of the presentation, click HERE*. Albertism is a late-medieval philosophical movement which defended an interpretation of Aristotle and of the Peripatetic tradition explicitly based on the work of Albert the Great (†1280). The lecture focuses on the didactic and doctrinal program of the Albertist school at the University of Paris and investigates the novel reception of Boethius’ De hebdomadibus and of the Liber de causis in the academic teaching and debate at the beginning of the fifteenth century. By reconstructing the genesis of the idea of an axiomatic wisdom, I intend to suggest a critical reconsideration of the Albertist conception of metaphysics according to its disciplinary and theoretical implications. In particular, I will try to show that the Liber de causis and De hebdomadibus, which were also commented on in close connection as canonic authorities of the school, not only constituted central sources for the Albertistic doctrines, but also provided a methodological model for the exposition of the metaphysical science. 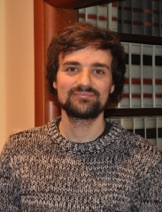 Mario Meliadò is research assistant at the Philosophical Department of the University of Freiburg. 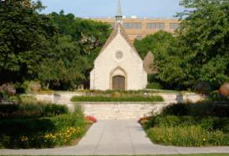 During the spring term 2014 he is a visiting scholar at the Medieval Institute of the University of Notre Dame with a Gabriel fellowship in history of medieval education. In July he will complete his PhD in Philosophy at the Universities of Siena and Freiburg with a dissertation on the history of late Albertism. His main field of research lies in medieval philosophy and theology; more specifically, he focuses on the reception of Neoplatonic sources and doctrines as well as on the development of the 15th-century philosophical schools. He has published articles on the Latin tradition of the Liber de causis, on Meister Eckhart and Heymeric of Campo.